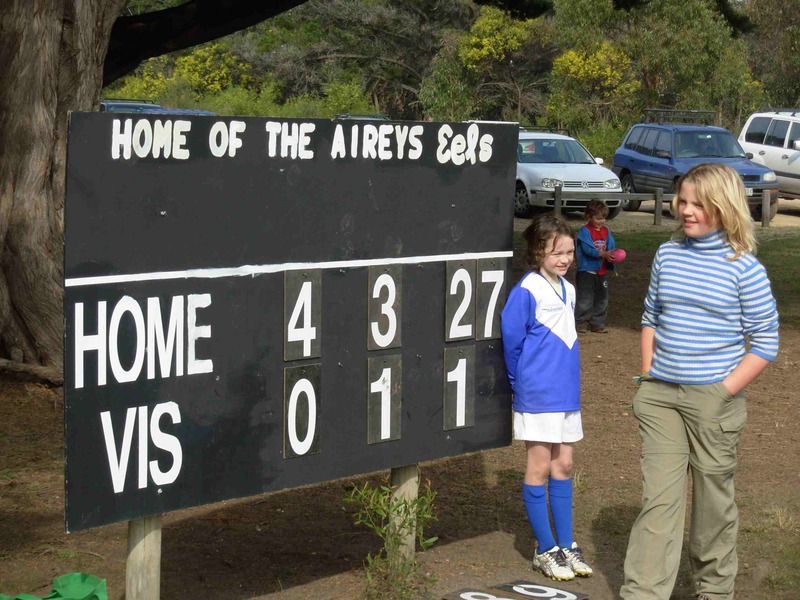 You won’t be surprised to learn that here at Scoreboard Pressure we occasionally notice scoreboards in seemingly unlikely places: two that come to mind are a footy scoreboard in Western Australia (Clontarf, perhaps) for a fleeting second in the movie Bran Nue Dae, and an old tennis scoreboard in Melbourne for quite a few seconds in Offspring (the changing scores were a metaphor for the relationship between Nina and Patrick). This week, while watching The Ashes, we took note of this seemingly suburban scoreboard. It’s part of a safe-driving advertisement starring Nick Maxwell and Chris Judd, and centres around the theme of driving safely by ‘wiping off’ five kilometres per hour. 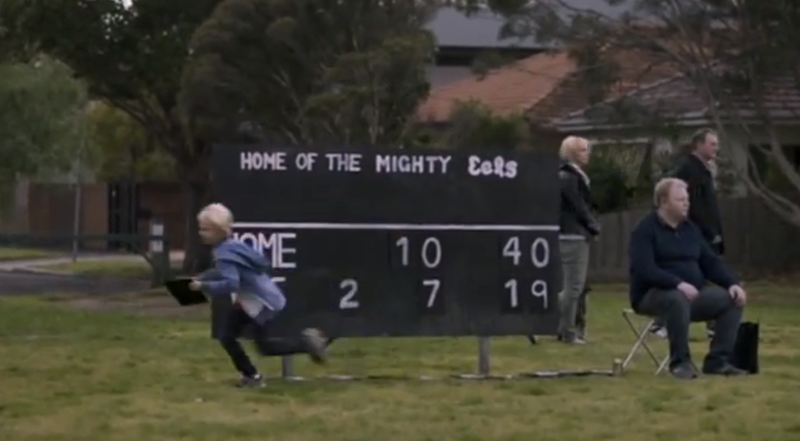 The Wipe Off 5 Scoreboard was built by The Pound production company’s art department and modelled, yep, on the Bellbrae board. It was then used for filming at Hurlingham Park, East Brighton. And here’s the advertisement: Wipe Off 5.